The Paragon 7800 Electronic Safe is built with solid steel to protect your expensive valuables. This heavy duty safe is easy to operate, program and will safeguard your items against any fire incidents or burglaries that may occur. Whether you are at home or in the office, the 7800 Electronic Safe is the ultimate security feature. Not only does it look the part with its dark grey finish, but it also securely stores and protects your belongings. 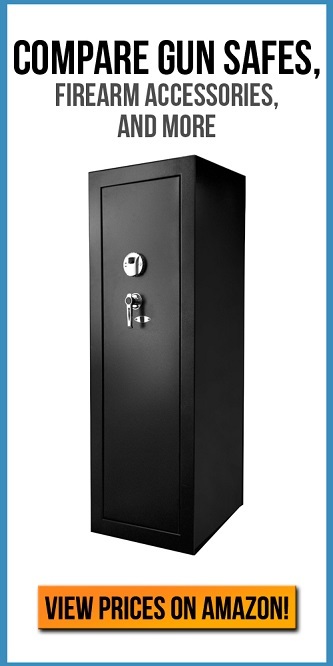 This is a high quality safe that is constructed of extra thick 11-gauge solid steel. Meaning your most valuable items are stored securely. For added security, Paragon conceals the hinges on the safe. This makes the hinges tamper-proof from the outside and inside. The steel build is able to easily fend off any hand or power tool attacks from a burglar. The safe also comes with pre-drilled anchor holes on the inside. Included with the product are bolts so that the safe will be nearly impossible to be moved. With its solid steel construction, the 7800 Electronic is fire rated to withstand temperatures of 1700 degrees Fahrenheit for 30 minutes. This safe has double walls with fire resistant fiber insulation to ensure your most valuable items remain protected during any fire incidents. This safe features a keypad for digital entry. Avoiding the hassle of multiple keys and providing protection against unauthorized access. A key lock is provided to make sure you are never locked out. Paragon Lock & Safe Company provide quality safes that will meet the every day needs of their customers. With this they offer a full 10 year warranty in the rare event that something goes wrong. The Paragon 7800 Electronic Safe has received some minor complaints from customers. On Amazon, customers said the safe was poorly designed and constructed. With a gap between the door and the frame when it was locked. When we at TossTheKey reviewed the safe, we did not come across this problem. Customers reported that this caused a slight irritation when entering the pin code on the keypad. One customer thought this might leave room to work a pry bar. This is unlikely due to the solid steel construction of the Paragon 7800. Other customers thought that the safe wobbled when it sat on a flat floor. With others receiving the safe with cracks and dents. This is more than likely caused by mishandling during shipping. Which is probably covered under warranty. The Paragon 7800 Electronic Safe is a quality product that offers solid security and dependable protection against fire incidents and burglaries. With its modern digital keypad locking system and solid construction, it has your security needs covered. The Paragon Lock & Safe Company offer the highest quality safes for the best prices. They provide heavier, more robust and larger safes than the competition.